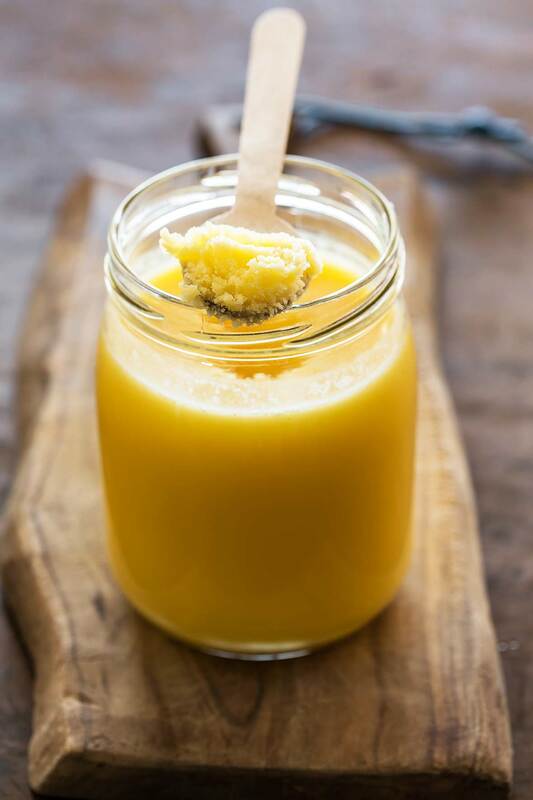 Clarified butter, called ghee in Indian cooking, is made by slowly heating butter to remove the water and milk solids. The resulting pure fat has a higher smoking point and lends food a rich, decadent flavor. It’s also 100% paleo. 1. Cut a stick or 2 of unsalted butter into cubes and place them in a small heavy saucepan over medium heat. 2. Let the butter simmer briskly, without stirring, until it separates. You’ll see water and milk solids and golden butterfat. After the water evaporates, you will see clouds of milk solids begin to fry in the clear golden butterfat. The solids should just begin to turn golden, which ensures a clearer fat. 3. Remove from the heat and pass the butter through a fine-mesh strainer lined with damp cheesecloth into a heatproof container. (Dampening the cheesecloth allows every precious drop of fat to slide through the cloth, rather than being absorbed into it.) Cool before pouring into plastic storage containers, then refrigerate or freeze. Clarified butter will harden upon storage, so keep it in shallow, wide, covered containers so it’s easy to scoop. The containers should in turn be placed in resealable plastic bags to prevent odor absorption in the refrigerator or freezer. Clarified butter can keep for 2 months in the refrigerator and 8 months in the freezer. 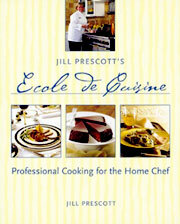 Clarified Butter Recipe © 2001 Jill Prescott. Photo © 2001 Quanthem. All rights reserved. All recipes and photos used with permission of the publisher.